Terror for the lazy ones but real love for all those who love free and wild beaches Mezzavalle is a place that easily remains in the heart of those who visit it. Completely embraced by the Mount Conero’s nature you have to face a steep path to reach it (roughly 10-minute walk) but the view that you will find in front of you once you have reached the end it will repay you of any effort. You will not find sunbeds and umbrellas but only a small bar/restaurant on the long white beach: the wild green of Mount Conero behind you and the crystal blue sea in front of your eyes. In 2014 Legambiente has entered Mezzavalle among the top positions of “The most beautiful is you,” the contest appointing the most beautiful beaches of the summer. 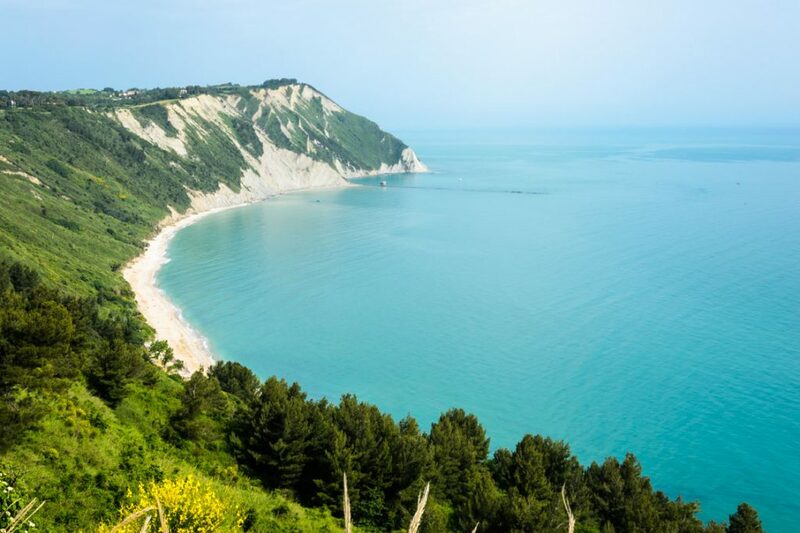 In 2015 also Skyscanner entered Mezzavalle among the ten most beautiful beaches in Italy.